EU has to invest in the social and civil dialogue to ensure more social cohesion and social progress. The Alliances to fight poverty came together in Spain the 24th of April 2014 to discuss the impact of the crisis on the social and civil dialogue. One of the perverse effects of the crisis and especially of the austerity measures is the deterioration of democracy in Europe. The seminar was meant to discuss how the social and civil dialogue can be enhanced. Almost in every country of Europe the social dialogue is hollowed out. The trade unions from Croatia, Romania, Spain and even Sweden bear testimony to the lack of a social dialogue on the national level. ETUI, the research centre of the European Confederation of Trade Unions, made it very clear. On the European level the social dialogue has disappeared or is transformed to a sectoral dialogue. The same trend can be seen on the national level. This is not a coincidence, but is done on purpose. Without a strong social dialogue it is much easier to reduce the wages, to ignore the demands of the workers, to implement more flexibility, to impose severe austerity measures. And –like in Spain- this doesn’t halt the public to protest, there is still the possibility of brutal force. The European Commission is responsible for the European social dialogue. She has to take the initiative to launch a dialogue between the social partners. Since 15 years the Commission is showing a lack of interest. Since 15 years the Commission has made a directive on the basis of the social dialogue. More, the European Semester that the Commission launches every year, demands from the member states structural reforms of the collective bargaining procedures to ensure more flexibility, wage reduction and wage flexibility. The consequences of this top-down policy is that our democratic institutions are hollowed out. Trade unions have lost the power to raise their voice in these institutions, they can’t defend anymore the working populations. Especially in public services where the government can take easily decisions top-down there is a structural trend to neglect the social dialogue. And when it pours in the public sector, it will rain in the private sector. The employers are welcoming this situation. They are not taking any step to unlock this situation. But, the Belgium trade union gave an example of where social dialogue was also in the purpose/interest of the employers. And then , they came to the table. The representative of the Belgium trade union suggested them to look for topics that are also in the interests of the employers to safeguard the social dialogue. The Alliances see a growing trend to sectoral and occupational collective bargaining processes. We see it on the European and at the member-states level as well. These trend has some perverse effects: the solidarity between workers can be hollowed out. The social dialogue becomes fragmented without a backing from the national or European level. The different trade unions ask a backing from the European level. The need for an enhanced social dialogue on the European level to bring again to life or maintain the social dialogue. The social dialogue on the European level is a necessary condition for the existence of the social dialogue on the national level. Therefore the Alliances demand urgently an initiative from the Commission to start the social dialogue up. The discussion on minimum wages – a topic that the Alliances also discussed in Madrid- could be a perfect start. The Alliances want a high minimum wage in each country. It is about justice and it is a buffer against social dumping. On the European level there should be a process that guarantees a high minimum wage on the national or sectoral level. The Alliances understood very well the doubts that some trade unions bring forward. The European procedure should respect the autonomy of the collective bargaining on national or sectoral level. Therefore the Alliances ask on the European level to negotiate between the European social partners a procedure that enables the social partners on the national level to establish an decent minimum wage regulation on national, sectoral and occupational level. The Alliances placed the discussion on social dialogue in a global discussion on civil dialogue. We saw that in countries where the social dialogue has been deteriorated, the civil dialogue has also been made worse. Civil dialogue with social dialogue are hand and glove. To have an enriched democracy, you need both (and more) types of dialogue. Therefore the Alliances are created to enhance the European democracy and therefore the Alliances suggest the trade unions and the civil organisations to work more together. The civil dialogue on European level looks very well elaborated. 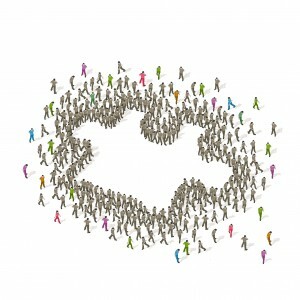 The summum of civil dialogue and democracy on the European level is the possibility to raise a “citizens initiative”. The “water citizens initiative “ is a good example of a successful initiative. It raises the awareness of the European citizen for important topics and for the impact of Europe on the daily life. It makes also the national of regional governments aware of the concerns of their people. The citizens initiative is by far the most important tool that civil organisations have. But to have a civil dialogue you need also two partners. On the European level, three partners: the public, the civil organisations and the European institutes. The problem is that the civil dialogue –like the social dialogue- lack a real commitment. The fist problem is that European civil organisations don’t have the tools to represent the European citizens. There is no real dialogue between these organisations and the European public. They mostly represent national organisations and their interests. Therefore the European civil organisations must invest in their dialogue with the European public. It is the task of Europe to give them the necessary tools to do this difficult job. The second problem is the lack of commitment of the European Commission for civil dialogue. There is a white paper, there is a communication tool via the web, but nobody knows what the results are of the public participation and the civil dialogue. There is a black hole behind the public participation: what has the Commission done with all the results of the public participation? Even the “citizens initiative on water” must lobby today to have a larger commitment of Europe. There is a gap between the public and Europe and the sources of these gap are found here: a lack of commitment to enhance democracy. Today civil dialogue is more a tool to legitimise Europe than to enhance the European democracy. Therefore the Alliances demand an enhanced civil dialogue. This means a real dialogue with answering and arguing. A real dialogue that have clear results and is transparent to all. An enhanced civil dialogue on the European level helps also the civil dialogue on the national level. Different civil organisations bear testimonies to the lack of civil dialogue on their national level. The examples of Roumania, Croatia, Spain and Portugal were percussive. There is a tremendous need to re-invest in democracy and not only when there are elections. The Alliances are aware that with a growing Europe the task for the civil organisations and for the trade unions are becoming heavier. They have to fight on the different levels: local, regional, national and European level. Each level is important and we need to discuss with each level to obtain some results. Therefore the Alliances demand that Europe should be aware of the growing complexity of the multilevel governance of Europe. She must not use this complexity to reduce democracy, but she must enables trade unions and civil organisations to enhance European democracy. The Alliances will work further on these several proposals and propagate them among the European Parliament and the European Commission.